The Libyan Navy Force’s spokesman Ayoub Qassim denied in a statement the accusations of the British Daily Mail newspaper that claimed Libyan coastguards mistreated immigrants, backing up its claims by footage allegedly showing the coastguards beating African migrants. 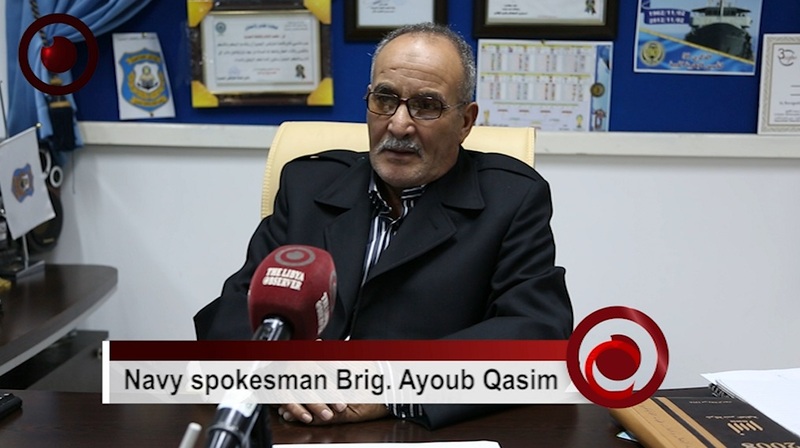 Qassim said that the Daily Mail’s claims are intentional fabrication and it has no evidence against Libyan coastguards, adding that the newspaper’s mention of the EU, including the UK, spending of 160 million pounds in Libya for training Libyan coastguards and providing them with needed equipment and boats is false and baseless. “The footage for beating the African migrants on a dinghy are taken from a media report for the British Sky News two years ago. The report included the name of a Libyan coastguard “Abdelrahman Milad” who has been accused with crime and illegal work. He is a coastguard and will be punished by the Libyan justice as he is wanted by an Attorney General’s warrant. He has been also suspended from the Libyan Coast Guard until investigations end.” Qassim explained. He indicated that the those who have evidence for the claims of the Daily Mail such as migrants’ mistreatment and beating as well as other violations should come forward with them to the Libyan courts and then the Libyan Navy will take the just and needed measures to punish the perpetrators. Daily Mail published on June 19 a report accusing some Libyan coastguards and human traffickers of horrifying and beating migrants off Libyan coast. On June 07, the United Nations Security Council slapped sanctions on 6 people, including 4 Libyans and one of whom is named Abdelrahman Milad – a coastguard – for human trafficking.